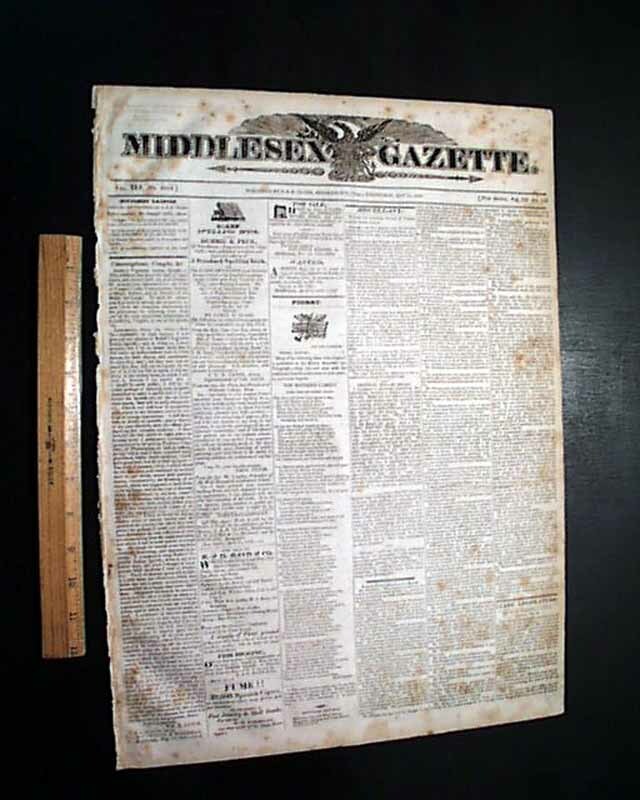 MIDDLESEX GAZETTE, Middletown, Connecticut, March 15, 1826 A very decorative masthead featuring a heraldic eagle (see). 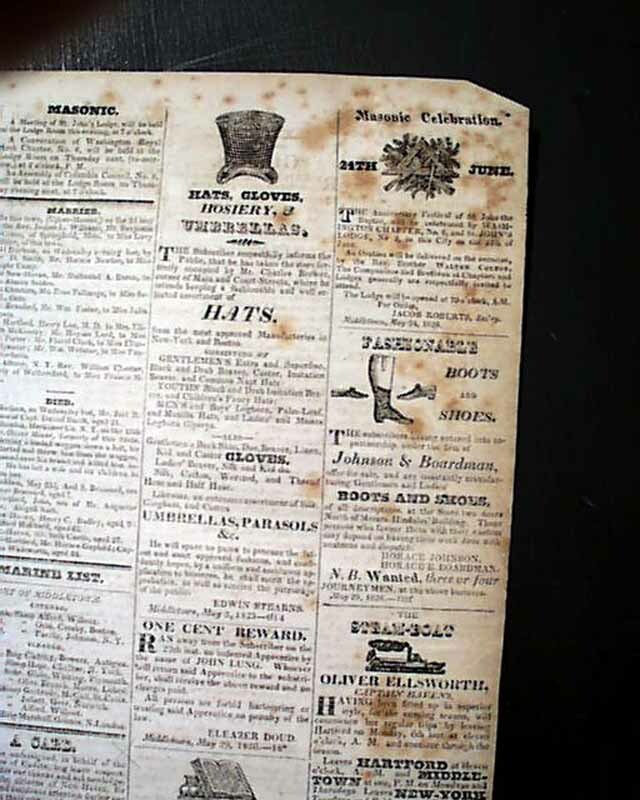 Various news of the day and some interesting illustrated advertisements. 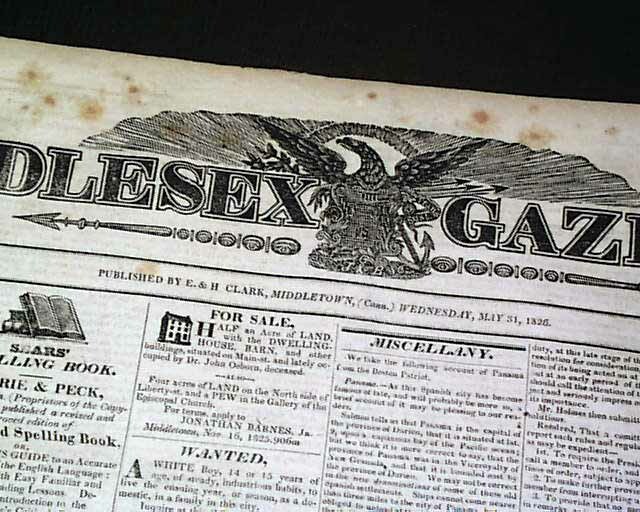 Various foxing, generally good.